Following the recent flood devastation in Queensland and Victoria, many governments are seeking a better understanding of how planning decisions might impact on water flow patterns and flood management options in their local areas. Working with the Bass Coast Shire Council, APR.Intern and PhD candidate Hossein Pourali has developed a digital elevation model that can be used by Victorian coastal communities to assist with flood management. 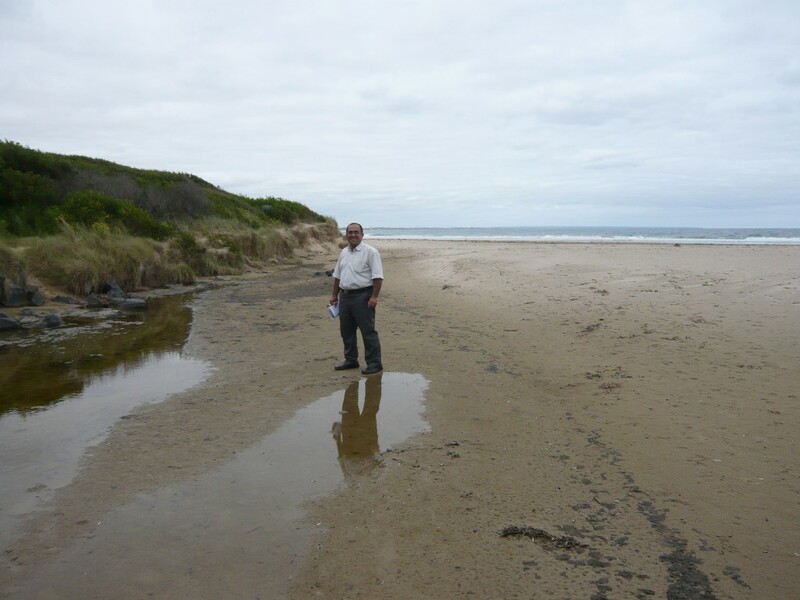 As one of the fastest growing areas in regional Victoria, the Bass Coast Shire needs detailed information to accurately assess potential impacts arising from changes in land usage. “The ability to better understand overland flow paths enables Council to provide more cost effective drainage solutions that will mitigate risk to the public and lead to reduced litigation and insurance premiums”, said Paul Lennox, the industry partner for the project. Hossein built on previous work by developing a model that incorporates natural surface drainage patterns, underground drainage pipeline networks, interconnecting drainage pits, buildings and impervious surfaces specific to the Bass Coast area. The model was developed using high-resolution LiDAR elevation data, and involved testing a range of modelling scenarios and formulae that replicate the natural flows of water in urban catchments. Hossein’s academic mentor, Associate Professor Colin Arrowsmith, RMIT University, said that the internship was invaluable to Hossein’s PhD. “Working with an industry partner has enabled Hossein to focus his research and obtain external input and feedback regarding his work”, he said. In addition to the development phase, extensive testing was undertaken to gauge the accuracy of the model. “We have found that the result is extremely reliable”, Mr Lennox said. One major advantage of the new model is it can be easily adapted for other Victorian coastal areas at a minimal cost to local governments, since the Future Coasts LiDAR data is freely available. The model can also be used globally as an initial planning tool for coastal development and climate change adaptation. “This new model will allow engineers and planners to make scientifically based strategic planning decisions to support the ongoing sustainable growth of coastal communities”, Mr Lennox said.